Yippie ki yay! It's cowgirl time in this brown horse costume. 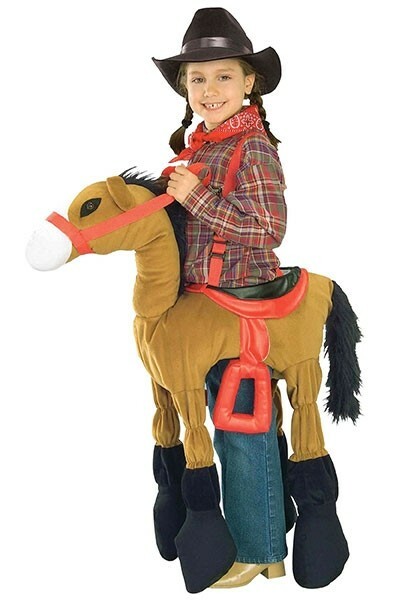 This polyester child costume fits around your child's waist and straps around the shoulders with adjustable red suspenders that are attached to the body of the brown plush horse. The waist of the costume looks like a red and black saddle with two stuffed cloth stirrups that hang from the sides. The plush horse features four stuffed legs with black feet that dangle down off the sides of the body that measure approximately 14" and has a white nose with a red muzzle, two floppy ears and brown eyes. 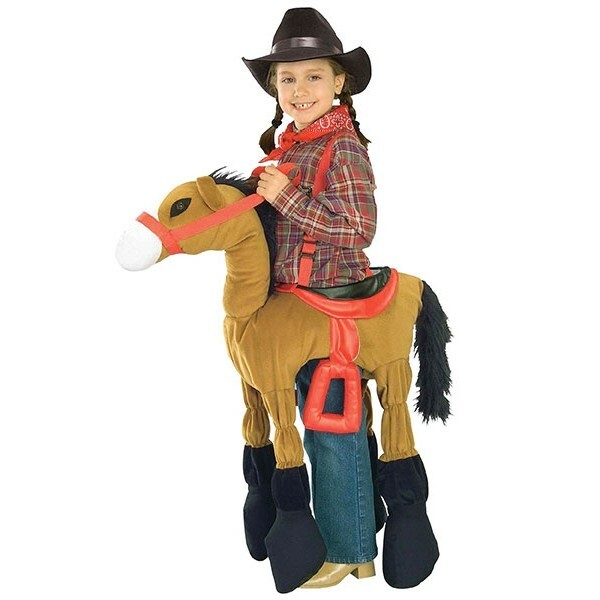 Your child will have a wild time taming this horse in the old west!